Canopy Cat Rescue was in the neighborhood this week. On Tuesday, they retrieved Sky from a dying birch tree in Edmonds. Sky was about 40 feet up in the tree for about a day. "As I was climbing up to her, I kept saying 'please don’t climb higher... please don’t climb higher' and she must have heard me because she stayed put and was really happy to see me." If she would have gone higher, as many cats do, the rescue would have been extremely difficult because the top 25 feet of the tree she was in was completely dead. Canopy Cat Rescue - Shaun Sears and Tom Otto - are cat-loving arborists and experienced tree climbers. They have a full-time business as arborists. They also work on-call, 24/7, all over central Puget Sound, rescuing cats from trees. They were in Edmonds last month but haven't been in Shoreline and Lake Forest Park since last fall. 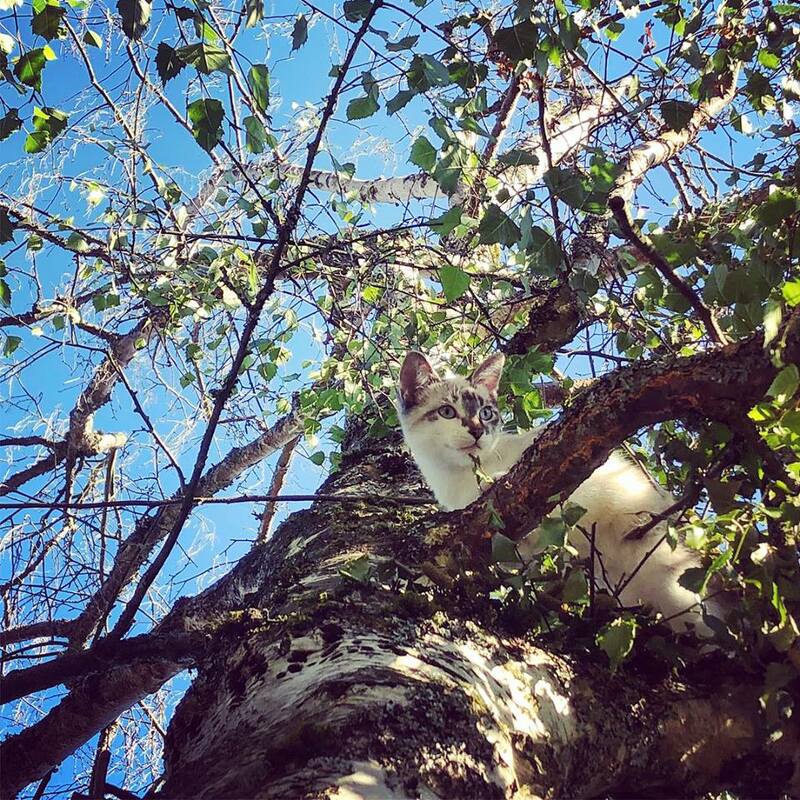 If you have a cat stuck in a tree, call them 1-(877)-721-MEOW, email or use the contact form. They are non-profit and work on a donation basis.